Mount Everest region trekking. Everest region trek is the most popular of all the trekking destination/region in Nepal. This is because the tallest mountain in the world Mt. Everest lies in this region. The most popular trek in Everest region is Everest Base Camp trek or Everest base camp tours. It is also called ebc trekking in short form. 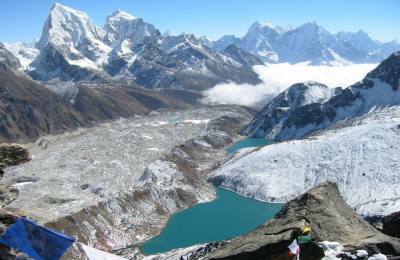 Gokyo trek or Gokyo Valley trek is another popular trek in this region. 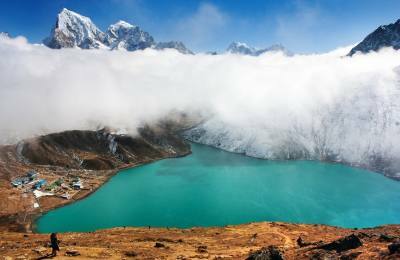 This trek takes you to the mesmerizing valley of Gokyo. 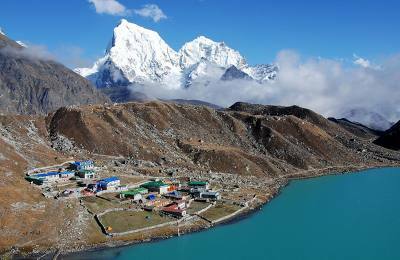 In this valley, you can see the highest freshwater of Gokyo lake system in the world Gokyo lakes. You will also ascent Gokyo Ri. It is a beautiful spot for viewing sunrise amidst the mountains in this region. 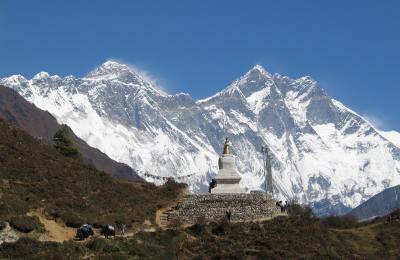 Everest View trek and Tengboche Monastery trek are the short treks in the Everest region. These treks take you to the lower altitude regions in Everest. You will get magnificent panoramic views of mountains from Tengboche Monastery or Hotel Everest View. 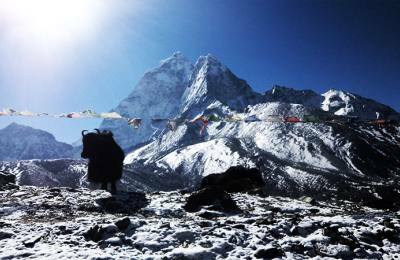 Everest High Passes trek is amongst the most strenuous of treks in the Everest region. You will cross 3 mountain passes in this trek. 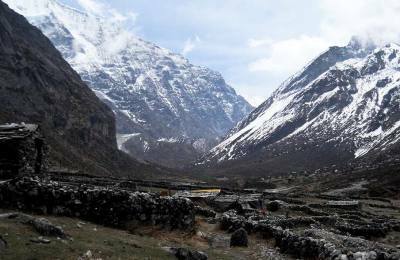 It is also amongst the longer treks in the Everest region. 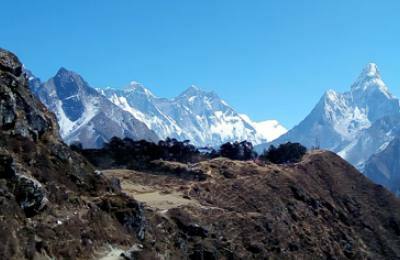 Other popular combine trekking and trips are island peak climbing, Lobuche east climbing and Amadablam Expedition in the Khumbu via Everest base camp trek. Sagarmatha National park, Lukla airport, Namche Bazaar, Sherpa cultures, Khumbu glaciers, old Monasteries, Dudh Kosi river, Pine trees, Stunning, and panoramic mountain views are it's the main attraction of Mount Everest region. Solukhumbhu is the district headquarters of the Mount Everest region. Everest region offers many types of passages Adventure trekking, Mountaineering expeditions, Peak climbing and hiking tours in the Everest Himalayas. We organize both guided treks and solo trekking tours in the Everest region where we have been specialized almost 20 years now. Our Sherpa guide, porters and admin staff are well knowledgeable, hardworking, most experienced, trustworthy, and honest and clients care from your arrival to end of your trip. We mostly apply Local guides/porters/ and Sherpa. The trek can be organized from Kathmandu to Lukla, from Kathmandu to Ramechhap, Manthali and from Kathmandu to Phaplu and Phaplu to Everest region trekking including, Everest base camp trek, Gokyo valley trek, and other climbing expeditions. Our main and head Trekking Company in Nepal is in Thamel, Kathmandu Nepal. The fewer popular and related trekking trips that we operate in the Everest region are given below. Of course, you will enjoy your trip with us in anytime throughout the years, months and weekends.